Those of us who grew up in Far Rockaway during the 40's thru the early 80's carry a memory of our old home town which could only be described as an idyllic place to have lived out our youth. But the once thriving beach community with a summer population that far outnumbered its year round counterparts, began a decline in the late 70's from which it has never recovered. Many letters received from our alumni who have recently visited Far Rockaway describe a far different picture of the hometown we remember. Never before has someone undertaken the journey back and provided us with not only the extensive visual evidence of the changes, but also an historical look and narrative of the places we remember and what has replaced them. Thanks to the author, who wishes to remain anonymous, as well as photos provided by Ms. Valerie Steidl and edited by our own Carol Marston, those of us who have not been able to, or desired to return to Far Rockaway, now have an opportunity to make this journey through their excellent effort. 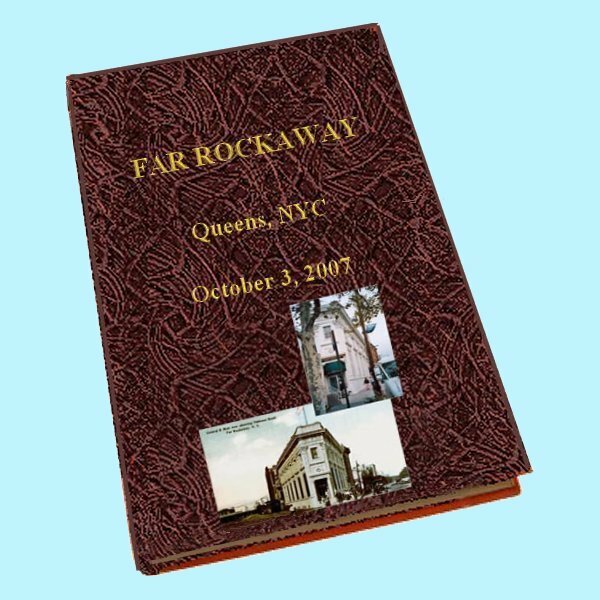 The Rockaway website is proud to present their work entitled, My Home Town, Far Rockaway, Queens, NYC. Please click here to view this outstanding work. After viewing, should you wish to make a comment, please do so below.